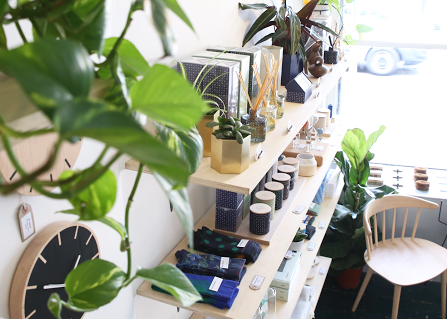 In this month's Shopkeeper Spotlight we chat to Kate Simpson, co-owner of gorgeous lifestyle store Nook. How would you describe the essence of Nook? You run Nook jointly with Gemma Ridgway and Jack Simpson - how did you come together to work on Nook? We had all talked over the years about opening a shop and when the right place came up nearby to where we all lived, it all came together. We all had retail / relevant experience; Gemma came from a background in visual merchandising, Jack managed a shop for a number of years and I ran a shop and workshop in Hampstead before opening Nook. How do you find combining business and friendship? Do you share a similar vision for Nook? Do you each have clearly defined roles, or do you all do a bit of everything? Gemma and Jack are a couple and I'm Jack’s sister, so we are all very close. Luckily we have found working together pretty straight forward, and we still enjoy each others company! We all have a say in every aspect of how the company’s run, but we naturally have some areas we are stronger at, so focus on these, while consulting one another. We all have the same goal for Nook, which is the most important thing. Stoke Newington has a vibrant, villagey feel. Are you inspired by the area? We have all lived in Stoke Newington for a number of years now, from before Nook opened, so we have a real affinity and affection for the area. It’s a great place to live and has changed a lot in the four and a half years we have had Nook. It is an inspiring area to work and live in, with a lot of creative people. Lots of the shops are also independents, like us, that’s a key factor of the area which we are keen to help maintain. We’ve loved getting to know our neighbours and local shopkeepers, and seeing the area grow and develop. There’s some great restaurants, pubs and cafes, good shopping, and we all love Clissold Park – it’s well worth a day trip. We particularly like Hub for clothes, Esters for coffee and the great Turkish shops and restaurants. We all contribute to the buying, and if we are taking on something new then we’ll have a look and a say in whether we feel it’s right for the shop. We find new products everywhere – we do go to trade shows, but we find the most inspiration on our own travels. We do have a wish list of ‘missing’ items that we keep half an eye out for, but we often take on something we love even if it’s not on the list! This is a question we often get asked, and we all struggle to answer as it changes so often. At the moment there’s an obvious trend for plants in the home. 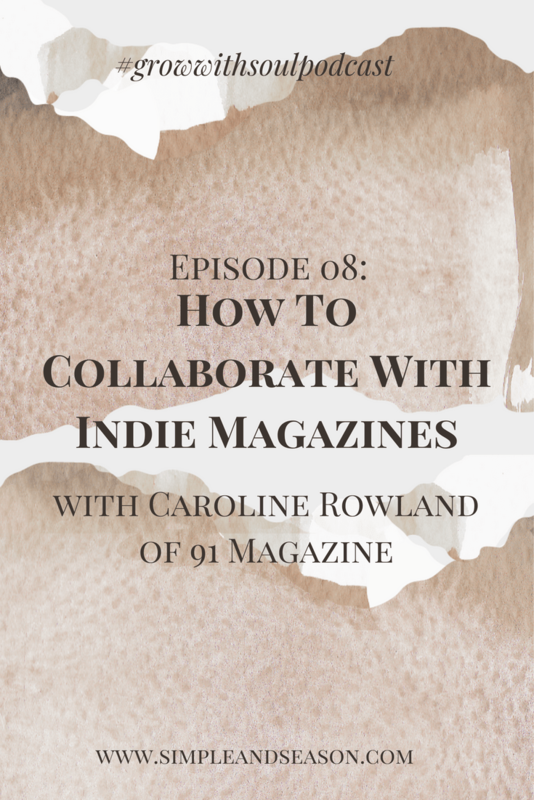 What best and most challenging elements of running an independent store? You never know what’s going to happen day to day, which keeps things interesting and certainly keeps us on our toes. It’s obviously a great privilege to run your own business and be your own boss. Christmas is a very busy time of course and it’s very rewarding to see the shop full and people finding great gifts for their family and friends. We get a lot of lovely feedback from customers which is always a good feeling. It's very challenging when you feel things are out of your control, our rent could go up as we have seen happen to other shops in the street, and we are now being threatened with big business rate hikes next year – you can feel quite vulnerable being a small business. I think we’d all say we prefer the running of the bricks and mortar shop as its more rewarding to speak to a ‘real’ person and have a personal transaction – we have a lot of regular customers who we’ve got to know over the years, whereas an online order will never have the personal touch. When we opened Nook, we didn’t really think about an online shop, but it soon became clear it was a natural progression. The shop is our hub, we send all online orders out from here and we just keep on top of it day to day, whoever is running the shop will run the online and we have it down to a fairly fine art now! What’s your approach to marketing? How easy is it to get the Nook name out there? We use social media a fair amount, especially Instagram which we find the most effective. We try to post regularly, and we use Twitter and less so, Facebook. We also send out twice weekly newsletters to our mailing list. What would you say are the key elements to running a successful independent store? It’s about getting a good selection of things that people want to buy! The atmosphere is also important and the location of the store is key. We make sure that we have a good turnover of stock to keep things fresh. We have had workshops in Nook, regularly change our window, and done tastings – trying new things is important as it keeps things interesting both for the customers, and also for us. Make sure you do your research and don’t buy too much stock when you first open. Do as much as you can yourself and be in the space yourself, talk to customers and find out what people want. Also, be flexible and prepared to change what you do if it’s not working – but try to stay true to your reason for opening the shop in the first place and only sell things you like yourself. What’s next on the horizon for Nook?